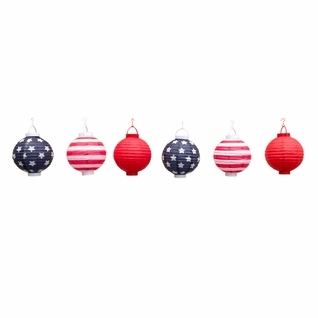 Patriotic 4th of July Stars and Stripes LED Battery Operated Paper Lantern Lights Kit (6-PACK) on Sale Now from PaperLanternStore! Be proud and show off your colors with our Patriotic 4th of July Independence Day Stars and Stripes LED Battery Powered Paper Lantern COMBO Kit! This kit includes a 100-Foot spool of our fishing line bundled with Six (6) of our LED Battery Operated Paper Lantern Lights designed to emulate America's beautiful flag! 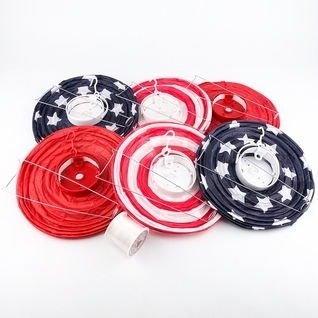 Hang our lanterns with just a single thread of line, or for our larger and heavier items, you can loop together lengths of line for added strength, while still maintaining a stealthy appearance. 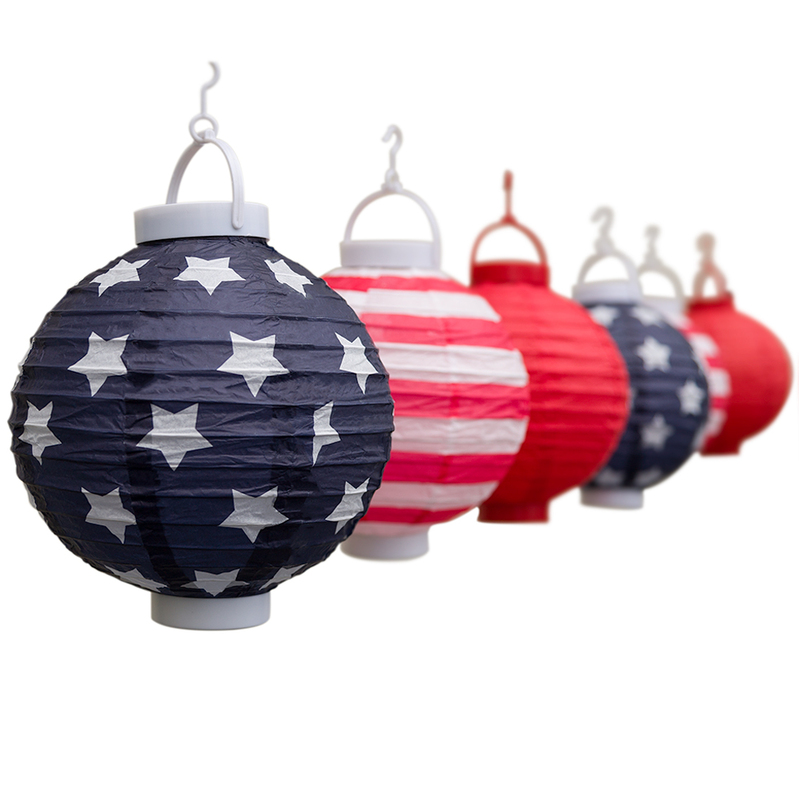 Powered by 2 AAA batteries (Not Included), these lanterns can be either hung or set on a table as a centerpiece for your event and will last over 8+ hours. Great for backyard BBQs and patio settings, these lantern lights come with a plastic hook on top for easy hanging from trees or around the house. Kids will love the fun lantern designs and joyful lighting effect the LED lights provide. 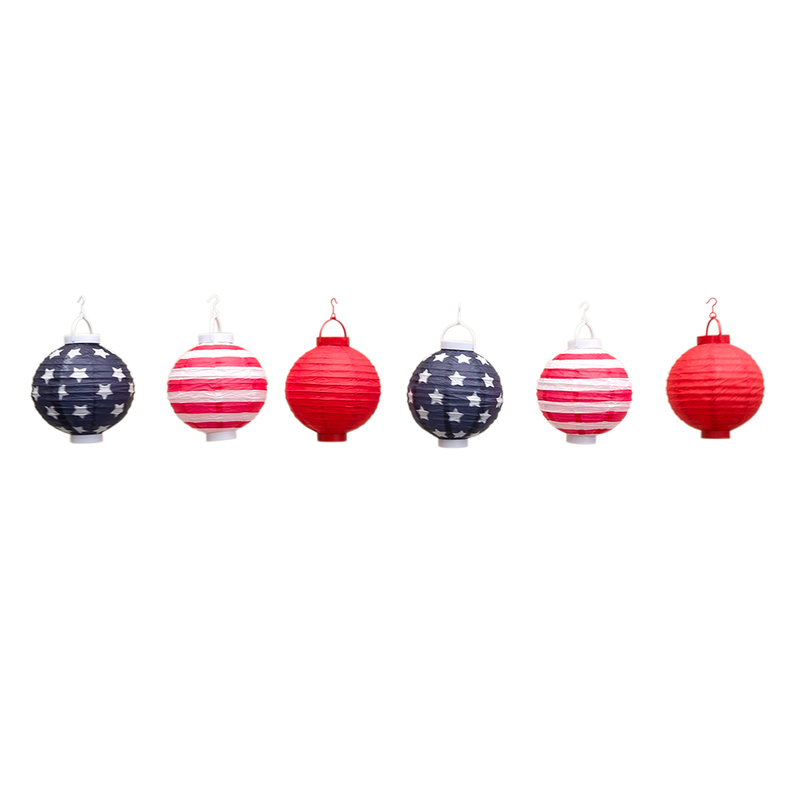 Lantern Color: Various - Blue with White Stars, White with Red Stripes, and Sold Red. Very happy with the lanterns. Got lots of compliments from neighbors when I used them to decorate my porch for a party. This set of lanterns are high quality and very decorative...I will definitely buy this item again. The color of these lanterns is even brighter that they look in the photo. I'm using them as center pieces for a holiday celebration, and the 8 inch height is perfect. ConsThe info says they need 3-AAA batteries, but they only need 2. Do you need to turn on each lantern individually? Thank you for your inquiry. Yes, they need to be turned on individually. Batteries and string to create a strand are sold separate. 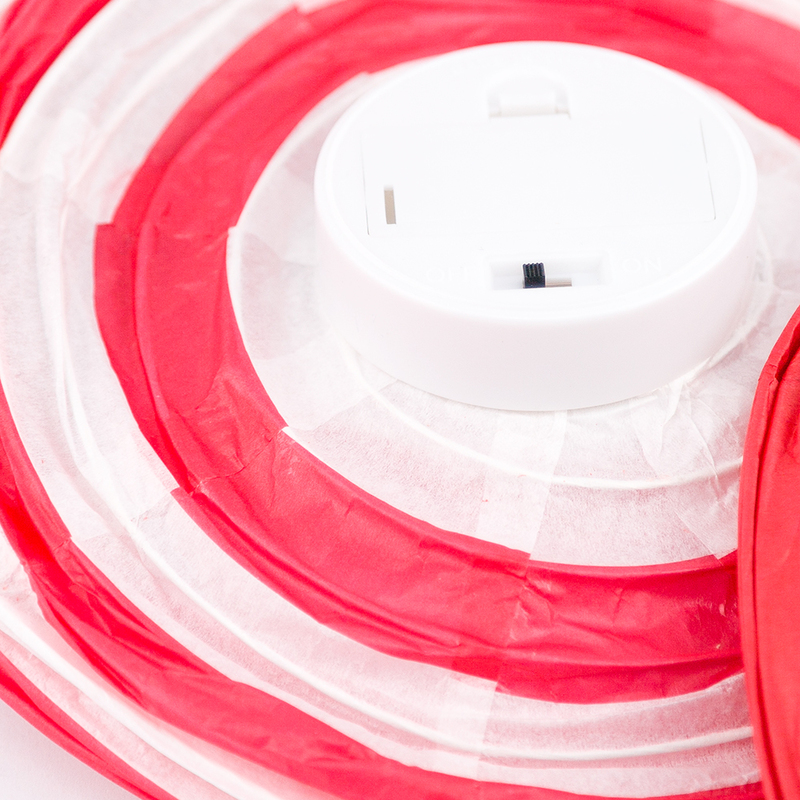 String can be purchased here: http://www.paperlanternstore.com/10filiforhap.html or http://www.paperlanternstore.com/string-light-cord-hanging-diy-guide-wire-60.html. Batteries are sold separate.